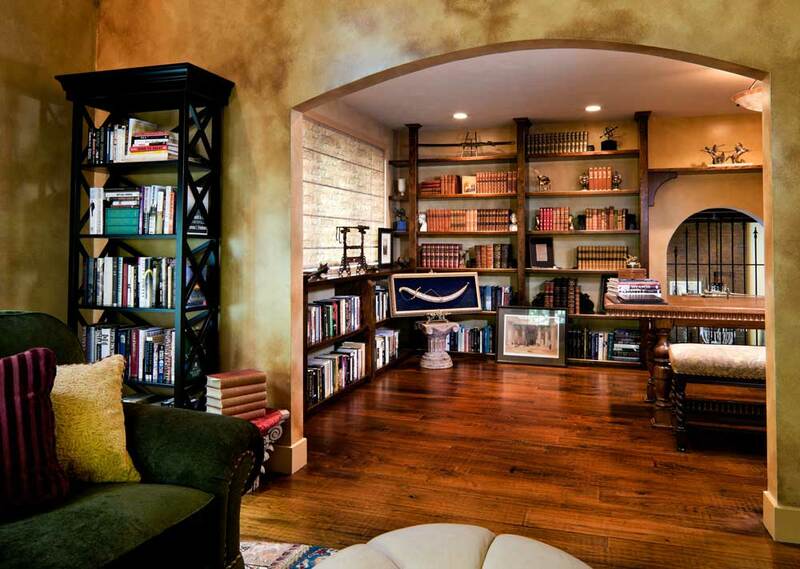 Linda Stimson of Inner Visions Interiors designed a private library in Sudbury for a Renaissance scholar. 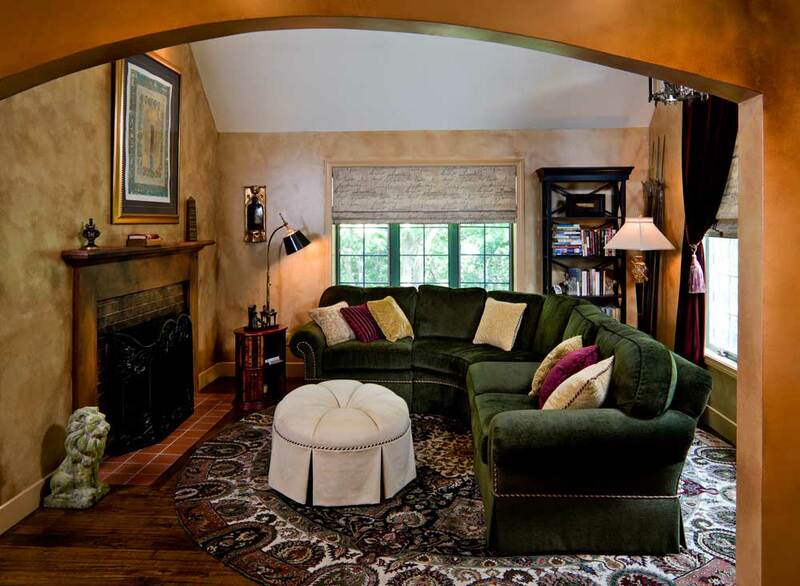 Two connecting rooms feature a fireplace, arched doorways, soaring ceilings, and displays of his books and antique armor. 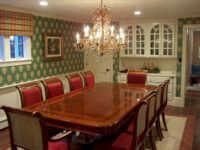 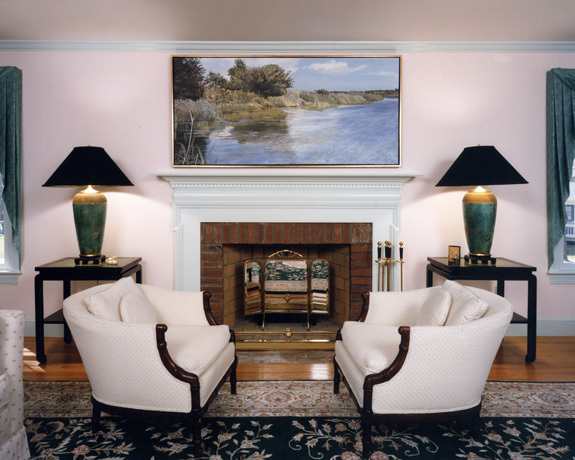 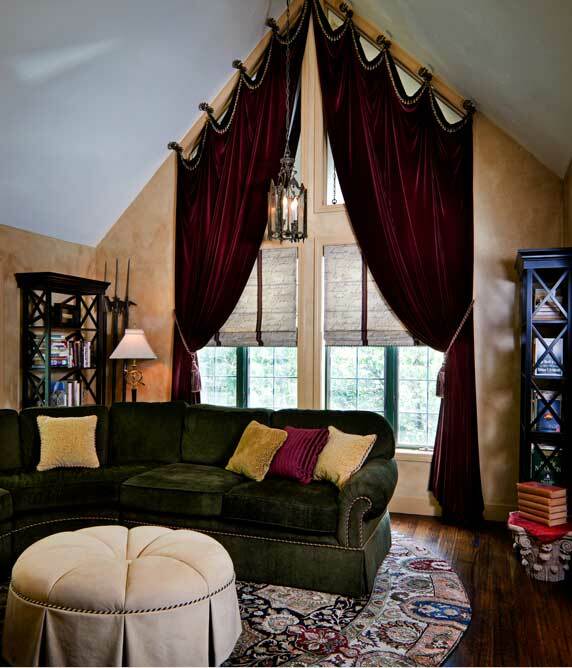 The room has a theatrical feeling to it with a large velvet curtain, faux painted walls and a round statement rug.